Shenzhen Opway Communication Co., LTD has successfully participated in the 20th CIOE2018. 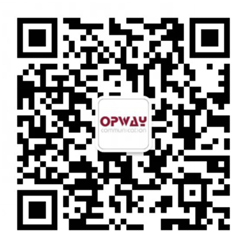 In this exhibition, Opway has demonstrated 100G/25G serialization (100G QSFP28/100G CFPx/25G SFP28) optical module, 40G QSFP light module, and various packages of dual- fiber/BIDI /CWDM/DWDM optical module from 10G to 100G.Among them, 25G SFP28 industrial-grade optical module, 100G QSFP28 LR4, 100G CFP2 LR4, 10G SFP+ DWDM industrial-grade optical module and other popular products are highlighted on site. CIOE, as a large-scale and influential comprehensive exhibition of the photoelectric industry, covers optoelectronic industry chain sectors such as optical communication, laser, infrared, precision optics, optoelectronic innovation, civil-military integration, photoelectric sensing and data center.Hall 1/2/4 is probably the largest optical communication exhibition in CIOE history. It has gathered a large number of high-quality communication device manufacturers, equipment suppliers, system integrators and operators at home and abroad, and comprehensively displayed optical fiber and optical cable and chip, optical device, sensor, testing equipment and optical network equipment of the optical communication industry. Thanks for your support and attention as always!